Virginia Governor Terry McAullife and the National Fish and Wildlife Foundation (NFWF) announced an award of $91,925.00 to Friends of the Rappahannock to support the Headwater Stream Initiative (HSI). This is a part of NFWF’s Chesapeake Bay Stewardship Fund and Small Watershed Grant Program. This incredible grant program awards millions of dollars in grants each year thanks to federal funding for the Chesapeake Bay Program through the United States Environmental Protection Agency (EPA). 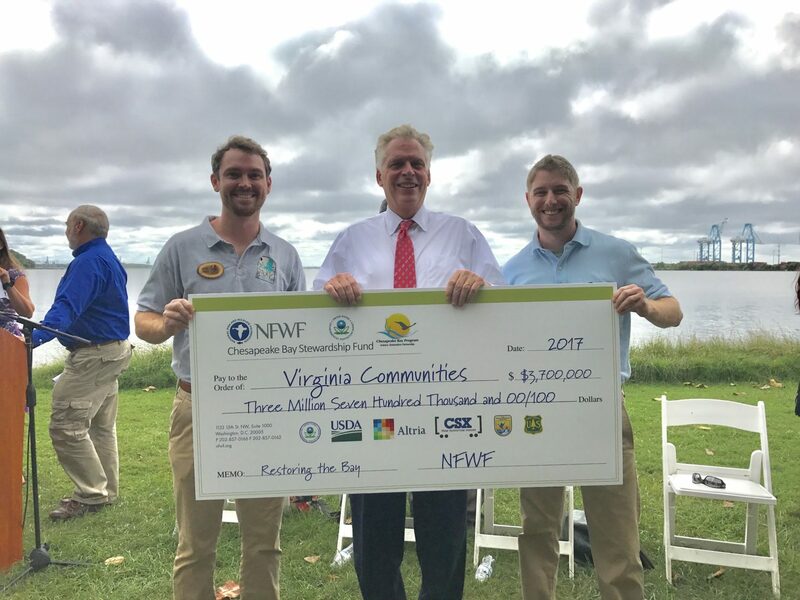 This year, NFWF awarded $3.7 million dollars to Virginia nonprofits, municipalities, and other eligible organizations for water quality related projects throughout Virginia’s portion of the Chesapeake Bay Watershed. For the past several years the Chesapeake Bay Program has been appropriated $73 million dollars in the EPA budget. This includes $12 million for NFWF grant programs. FOR will work with partners to ensure that this funding is consistent in future interior appropriations. Friends of the Rappahannock (FOR) was one of the 14 Virginia organizations to receive a grant award. Over $91,000 will help support their Headwater Stream Initiative and will be matched by over $100,000 in local match dollars from FOR and their numerous project partners. “We are very blessed to once again receive funding from NFWF to support our restoration programs” said Bryan Hofmann, FOR Programs Manager. “These grant funds help leverage thousands of match dollars from local partners, other funders, and volunteers to help protect and restore the Rappahannock River watershed”. The Headwater Stream Initiative was a pilot program started in partnership with the Piedmont Environmental Council in 2016 with the goal of restoring forested riparian buffer corridors on headwater streams and rivers throughout the upper Rappahannock and Rapidan River watersheds. This includes: Fauquier, Rappahannock, Culpeper, Orange, Madison, and Greene Counties. The program provides technical assistance, design, materials, installation, and monitoring to interested landowners with water resources on their properties located within the Rappahannock River watershed. The program also offers education and information on a myriad of other conservation programs available throughout the commonwealth. 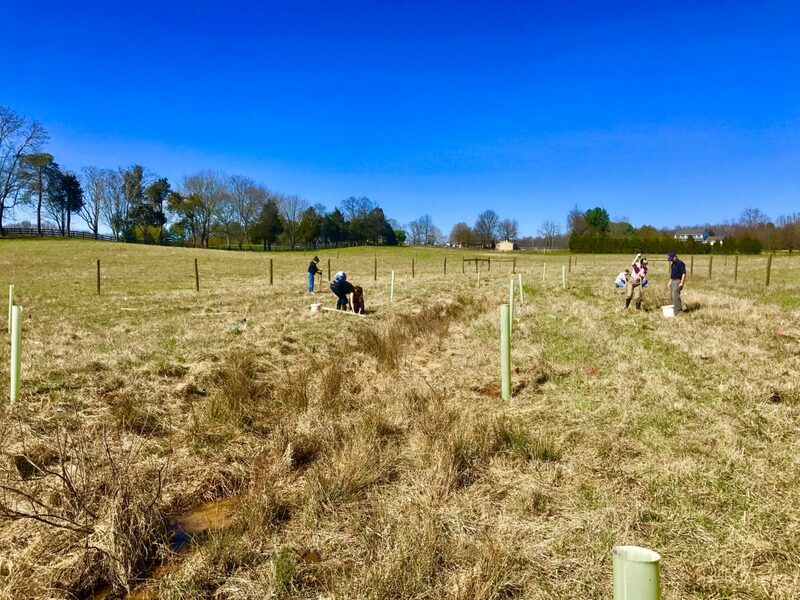 In the spring of 2017, FOR worked with John Marshall Soil and Water Conservation District (JMSWCD), PEC, and the Virginia Department of Forestry (DOF) to plant over eight acres of new riparian buffers along over a mile of streams and rivers thanks to a variety of local funding and hundreds of students and community volunteers. This grant award will provide FOR and partners the resources to take this pilot program to scale throughout the headwater region and produce measurable pollution reductions vital to the restoration of the Rappahannock River and Chesapeake Bay. The 2018 HSI program has set the goal of 25 acres of new riparian buffers, over 2,500 trees and shrubs planted, and over 1.5 miles of livestock exclusion fencing to achieve over 20,000 lb/year of nutrient reductions. “We are excited to take this program to the next level and get more projects on the ground to protect and restore the Rappahannock River”, Hofmann said. Special thanks to all our partners and funders for making this program possible.